This Sony Extended Warranty SPSDVR20RSEW3 covers a wide variety of professional DVRs for models costing between $10,000-20,000. 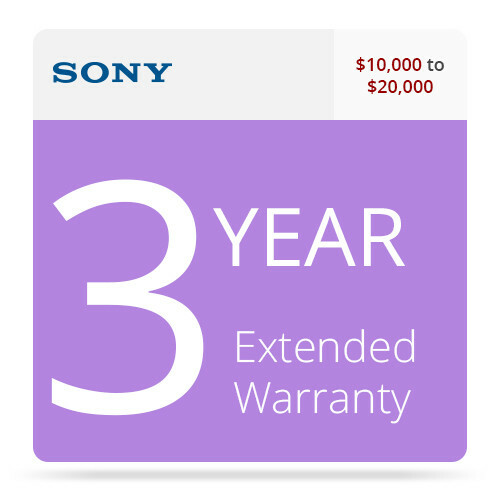 The warranty extends the Sony Limited Product Warranty for an additional 2 years, making the total coverage time 3 years. The warranty can be validated up to 30 days after the item covered has been purchased. A cost-effective solution which helps guard against unanticipated repair costs. Parts and labor costs covered for all problems caused as a result of any defect in material or workmanship.